Russian and Japanese scientists are launching a joint research to recreate the mammoth..
By replacing the nuclei of egg cells from an elephant with those taken from the mammoth’s marrow cells, embryos with mammoth DNA can be produced, Kyodo said, citing the researchers. Embryos will then be implanted into elephant wombs for delivery as the two species are closely related. Securing nuclei with an undamaged gene is essential for the nucleus transplantation technique. For scientists involved in the research since the late 1990s, finding nuclei with undamaged mammoth genes has been a challenge. The woolly mammoth is known from bones and frozen carcasses from northern North America and northern Eurasia with the best preserved carcasses in Siberia. They are perhaps the most well known species of mammoth. It disappeared from most of its range at the end of the Pleistocene, with an isolated population living on Wrangel Island until roughly 1700 BCE. Woolly mammoths are common in the fossil record. Unlike most other prehistoric animals, their remains are often not fossilized, but are preserved in their organic state. This is due in part to the frozen climate of their habitats, and to their massive size. Woolly mammoths are therefore among the best-understood prehistoric vertebrates known to science in terms of anatomy. Woolly mammoths were not noticeably larger than present-day African elephants. Fully grown mammoth bulls reached heights between 9.2 ft and 9.8 ft while the dwarf varieties reached between 6 ft and 7.5 ft.
Woolly mammoths had a number of adaptations to the cold, most famously the thick layer of shaggy hair, up to 1 meter in length, with a fine underwool, for which the woolly mammoth is named. The coats were similar to those of muskoxen, and it is likely mammoths moulted in summer. They also had far smaller ears than modern elephants; the largest mammoth ear found so far was only 12 in long, compared to 71 in for an African elephant. Their skin was no thicker than that of present-day elephants, but unlike elephants, they had numerous sebaceous glands in their skin which secreted greasy fat into their hair, improving its insulating qualities. They had a layer of fat up to 3 in thick under the skin which, like the blubber of whales, helped to keep them warm. Similar to reindeer and musk oxen, their hemoglobin was adapted to the cold to improve oxygen delivery around the body and prevent freezing. Other characteristic features included a high, peaked head that appears knob-like in many cave paintings, and a high shoulder hump resulting from long spinous processes on the neck vertebrae that probably carried fat deposits. Another feature at times found in cave paintings was confirmed by the discovery of the nearly intact remains of a baby mammoth named Dima. Unlike the trunk lobes of living elephants, Dima’s upper lip at the tip of the trunk had a broad lobe feature, while the lower lip had a broad, squarish flap. Their teeth were also adapted to their diet of coarse tundra grasses, with more plates and a higher crown than their southern relatives. Woolly mammoths had extremely long tusks — up to 16 ft long — which were markedly curved, to a much greater extent than those of elephants. 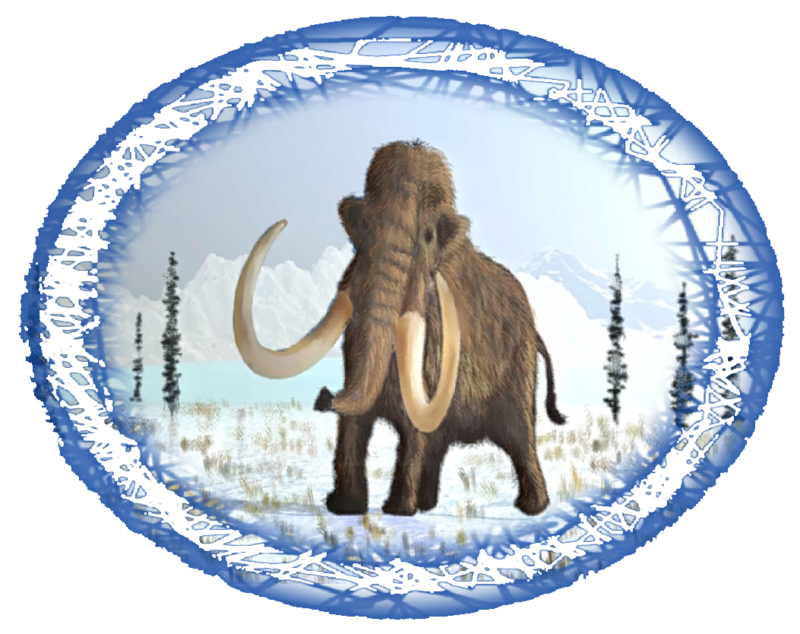 It is not clear whether the tusks were a specific adaptation to their environment; mammoths may have used their tusks as shovels to clear snow from the ground and reach the vegetation buried below. 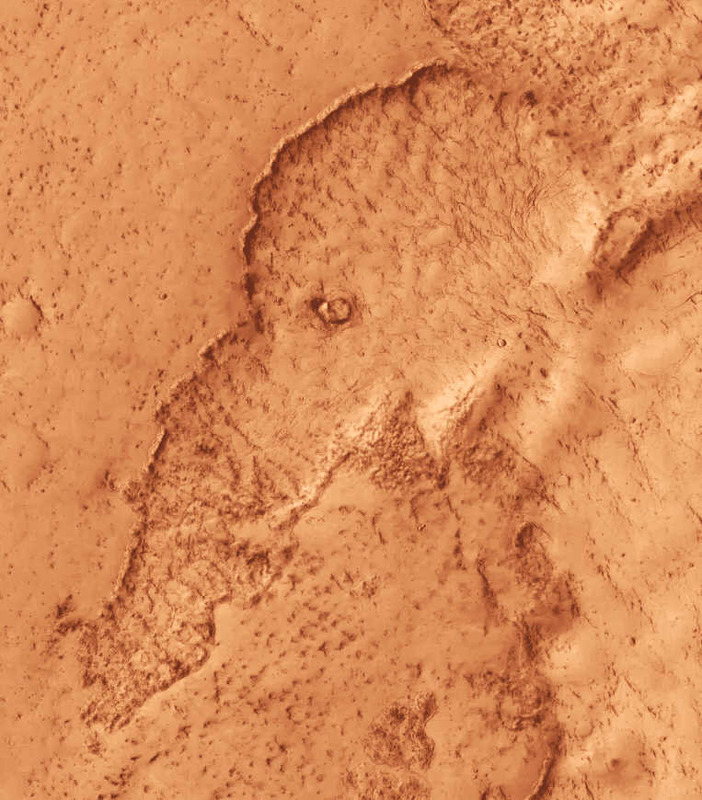 This is evidenced by flat sections on the ventral surface of some tusks. It has also been observed in many specimens that there may be an amount of wear on top of the tusk that would suggest some animals had a preference as to which tusk on which they rested their trunks. While preserved specimens of mammoth hair are reddish or orange color, this is believed to be due to the leaching of pigment during burial. In 2006, The University of California, San Diego reported they had sequenced the gene that influences hair color in mammals from woolly mammoth bones. Mammoths would have had coats of varying colors ranging dark brown or black to paler hues, possibly blond or ginger. Extinction of the woolly mammoth was likely due to a combination of the effects of climate change and human predation. A small population of woolly mammoths survived on St. Paul Island, Alaska, until 3,750 BCE, while another remained on Wrangel Island in the Arctic Ocean until 1700 BCE. These animals were originally considered a dwarf variety, much smaller than the original Pleistocene woolly mammoth. ; however after closer investigation, Wrangel mammoths are no longer considered to be dwarfs.